Sometimes, a product comes along and you can't help but be excited by it. The Armadillo Flip is one of those products. I couldn't help but see all the ways in which it would be useful for us. 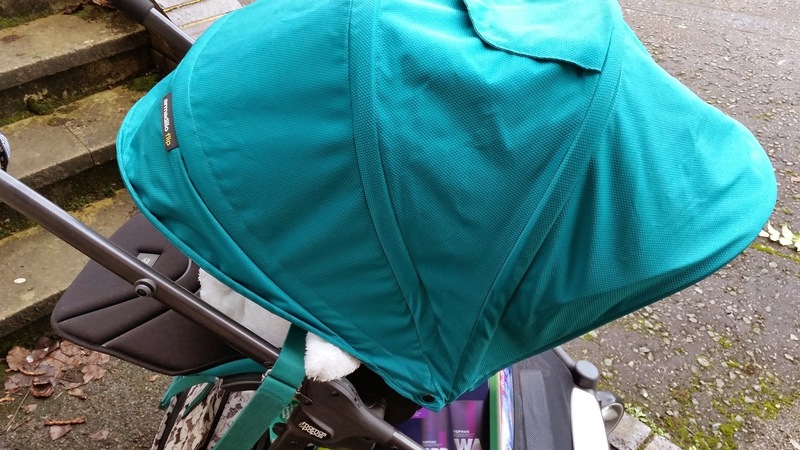 When we started pulling out everything from D's babyhood to use for R, we discovered that the seat unit of the Quinny (Buzz 3, bought in 2010) had not fared well. Perhaps my son was just particularly messy. Perhaps it wasn't cleaned up as well as it should have been or stored as well as it could have been. Whatever, the fact is that we'd need to replace it.... which created a bit of a roadblock. We could have bought a replacement on eBay - I'd sourced a couple of options and was hopeful to find a decent one for about £100. I also tried to get in contact with Dorel to see if I could get the parts direct from them. I tried contacting them on Twitter and Facebook and their responses were really quite poor - they wouldn't reveal any information about how much they would cost... or even if they would do them. Interestingly, they do now have this information on their website and I now discover it would have set us back £140. Then I started having troubles with collapsing it (once I ended up having to put it in the boot still up - ever so thankful for my large boot) and it started to make creaking noises. The front wheel was having issues turning on one side. It seemed that both of the inner tubes on the rear tyres would need replacing (again). There was nowhere to put all of the gubbins that we seem to need every morning and afternoon on the school run. 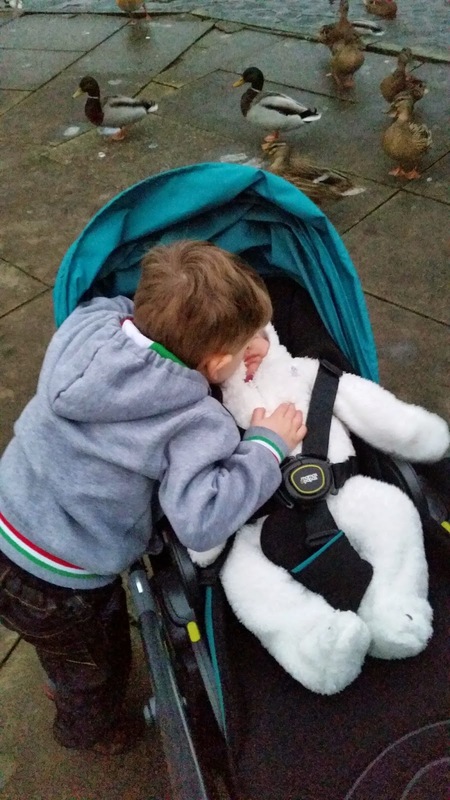 There are many things that I loved about the Quinny when I had it with D - the ability to clip the carseat in and keep him asleep, the ease with which it handled and coped with all terrains was really helpful for us. 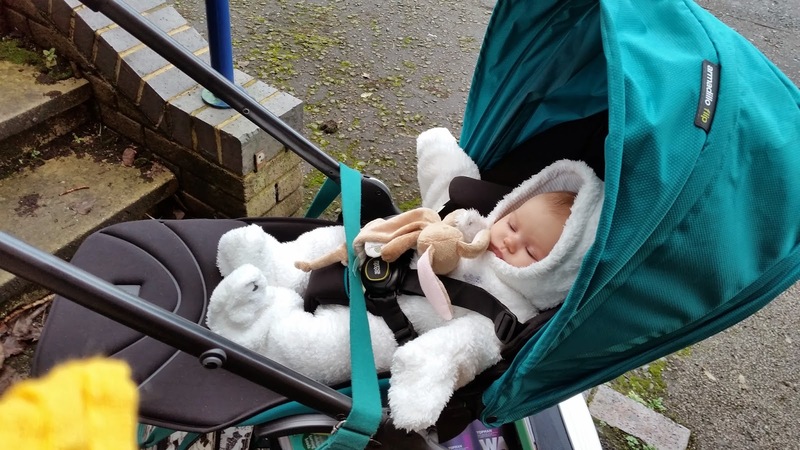 There were some things, however, that were not so good - the issues with the tyres, the fact that the Quinny seems to be a lot wider than other buggies and can't get into smaller doors. The fact that the only way that I could travel with shopping on board. 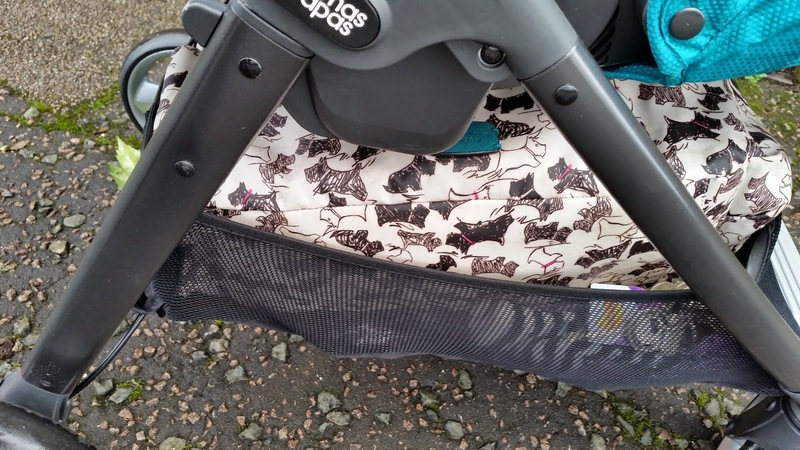 We bought a Buggy Buddy Clip which was helpful to some extent but did mean that the pram was more likely to tip. There is an under basket available but it's pretty small. Talking of sizes - the amount of space that it takes up in my large boot makes it difficult for me to really put much else in there. I seem to remember having trouble collapsing it with the seat unit attached. Not quick - and when I'm pulling it out of the car twice a day for the school run at the moment - not appreciated. When the Armadillo Flip finally reached stores I was desperate to give it a try. I tried out the previous model in the range - the Armadillo - and I was really impressed by it - you lift a lever and it assembles, press a button and twist and it collapses. 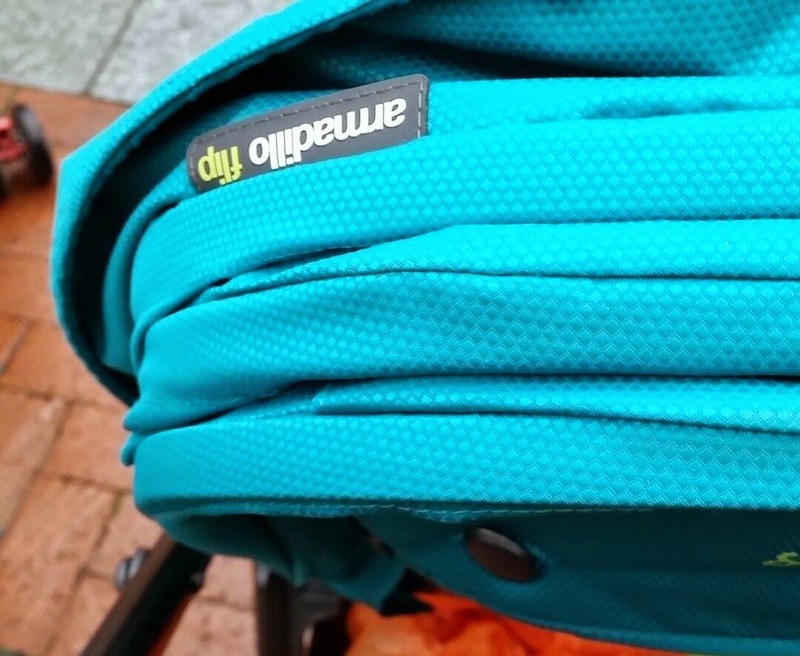 The Flip is better than the Armadillo because it can be adapted in the same way that the Quinny is - to hold a car seat. Or to hold a pram bucket if you would like. It can also be front or rear facing - I think that rear facing stage is really quite important. It remains quick to assemble. I have had an issue on an occasion or two when one of the front wheels has caught the back wheels. This could be prevented by locking the wheels every time - but instead I just know when it's happened and resolve it. While they are a little fiddly to get back in place, I really like the straps holders at the back - I find them a lot less fiddly than the other options - when you need to adjust them, they move fairly easily, you don't have to mess about threading things through. I love the amount of space we have underneath - the basket is spacious and D really likes putting his water bottle and book bag for school under there. Talking of D, he really loves that she is now so accessible. No longer is she up high where he can't quite see her/get to her - he can give her a little kiss if he wants to. The rain cover is easy to put on. I cannot tell you how much I hate rain covers and fiddling with them. They are a pain. I have to allow myself at least ten minutes extra time just to get the rain cover on the Quinny. Not so with the Flip. It's quick and easy to get it on. My only complaint about it is that I can't see that there are any air holes - meaning that it gets a little steamy inside. I resolved this by slightly opening the zip but I'm sure there could be a better solution for this. I love the buckle. I love that it is just pushing a button that needs to be done - I've lost a thumb nail or two on the car seat release button on D's car seat. Also... I don't know if it's just me but I found the brake on the Quinny a bit of a faff. This one is really easy to use and doesn't involve exerting very much force at all. It can be used for a very long time without adaptations - it is possible to use from birth in the reclining position. I'm not sure how comfortable I'd feel with that to be honest. At two months, Roo is pretty robust now. She's lost that tiny fragile newborn look. Having said that, there is a newborn cocoon that I would buy should D get his way and have another sibling... (!) She's pretty comfortable in it and it reckons that it is okay for up to four years old. Should you want to have a pram bucket that's also available. 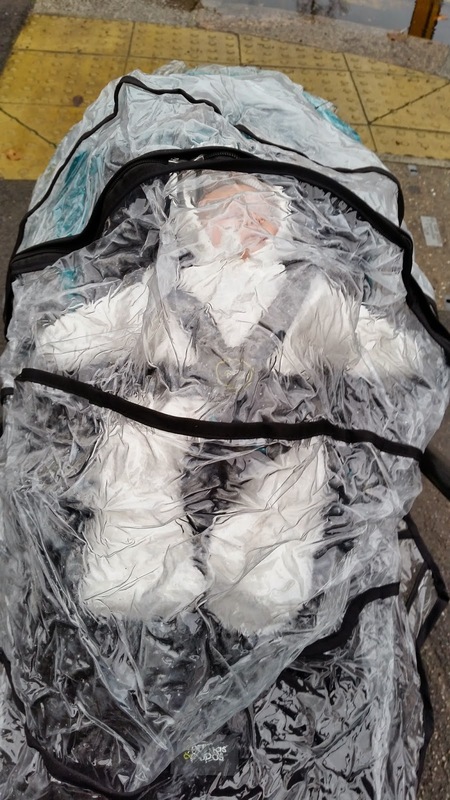 I like not having one though - I like that she is strapped in now. It's so small once it's folded - it takes up about half the space in the boot that the Quinny did. This is even more important for when we are going away - with two children we need as much space as possible for luggage. It also packs away a lot more neatly than the Quinny's frame which is all wheels. I think you need to be careful about what is in the under basket - it obviously fits more neatly if there isn't anything! The hood is also worth mentioning. It's larger than standard hoods - when Roo gets bigger and needs naps without distraction, I think it will be fantastic. She's on a slight incline here but you can see how it covers her well. D really likes the fact that the bottom can be lowered allowing for her feet to be down on the footrest when she gets bigger. It's easy to push around town one handed - great for those moments when I've had an eggnog latte on the go! It is slightly heavier for turning but it is doable one handed. It might be because of the slightly flat tyres but I was finding it pretty hard to keep it moving one handed. 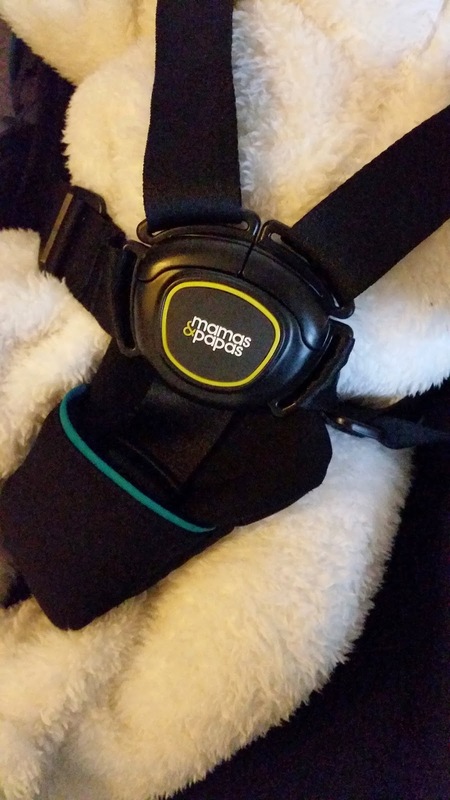 You can also collapse one handed - helpful when you are trying to use the other hand to jiggle the baby around rather than leaving them to scream in the car seat. I really love the colour too. I've already been asked if 'he' is 'good' - one of those questions that I hate anyway - what constitutes 'good' in a ten week old baby anyway? Teal = boy apparently. I like that it is striking though. It goes nicely with the dark green of my change bag as an unexpected bonus! We had black last time around, I felt the sand dune colour might be easily marked and the coral just felt a bit too much like nearly pink. The peep window is a good size too for checking out that she's okay once she moves to looking away from us. 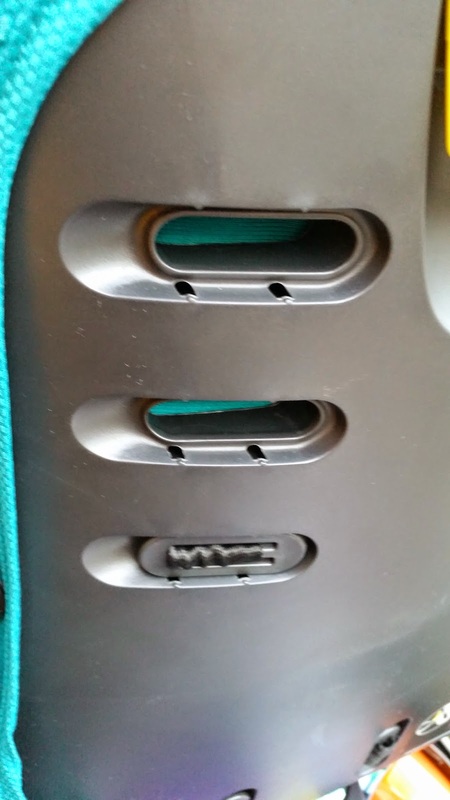 A little detail that I really like is that it's held in place with a magnet rather than velcro. Most importantly, Roo seems to like it - she sleeps in it as well as she sleeps anywhere and bar the odd short protest at being moved, she settles in pretty quickly to it. There are a couple of things that I should mention that are my negatives. As we have been used to a three wheeler with big wheels at the back it doesn't feel as smooth. Getting it up on to kerbs is less easy and across grass isn't as friendly as it was before. I also really miss the bar across the front - somewhere to hang toys. I've seen some people with the Armadillo attach things to the side of the frame, so I guess that's what we'll do. 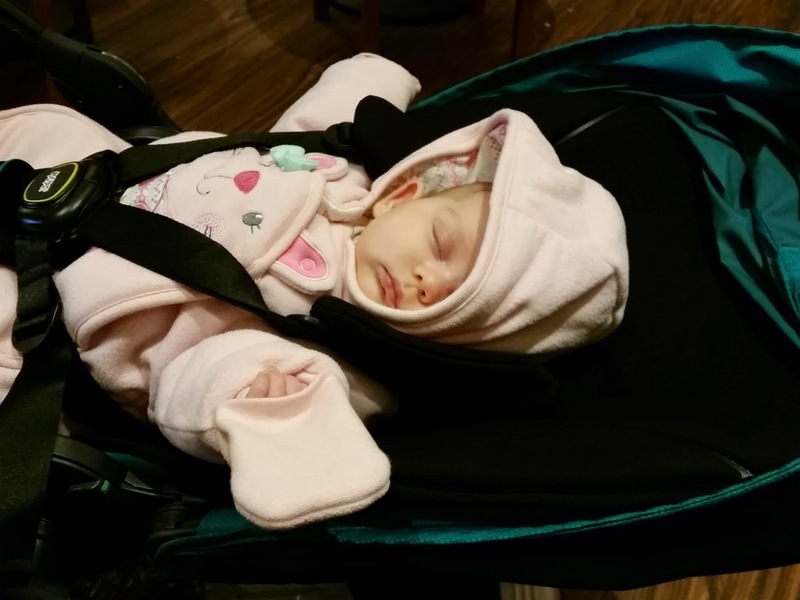 You do need to be a little careful with the hood when the buggy is in full recline - if you pull it a little further than allowed it will lift that section up with it, putting it on an incline. Easy to fix but it is a little surprising that it is so easy to move. Despite these issues, all in, I highly recommend the Flip. I love wheeling it around - and love how it has made our school run easier. I feel a bit like a kid with a new toy - I keep finding new things I love about it! I purchased the Flip myself and am reviewing it because I am really pleased with it. I have received no compensation for this post.